A glaciated peak at the head of the Clowhom River, southwest of Phantom Lake. 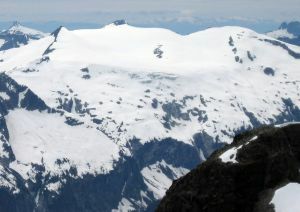 A glacier covers the east side of the summit plateau. There appears to be no easy access to this peak.